We’ve all experienced that sensation at least once in our lifetime: that scary, hair-raising feeling of someone (or something) is watching us. If not, then get ready, because chances are good you will experience it someday, owing to the fact that there are just some things that even science can’t explain. Don’t believe us? Then go ahead and read about these famous Filipinos who’ve allegedly had their own encounters with the supernatural. 1. Emilio Aguinaldo Had a ‘Kapre’ Who Protected Him. 2. A Poltergeist Haunted Jose Rizal. 3. An ‘Engkanto’ Caused Julie Vega’s Death. 5. Occupants Of Malacañang Palace And Their Supernatural Encounter. 6. An Engkanto Fell In Love With Angelica Panganiban In Palawan. 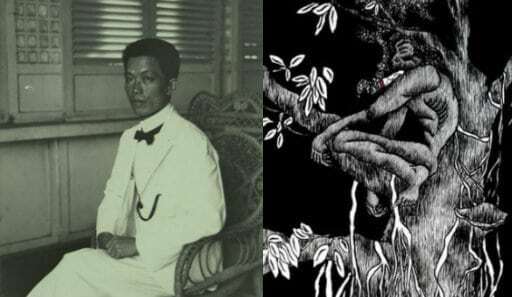 Could Emilio Aguinaldo’s battlefield savvy and martial prowess be the result of having befriended a ‘kapre’ (giant tree-dwelling demon)? According to some folk stories, yes. It is believed that the kapre lived under a bridge near Aguinaldo’s mansion in Kawit, Cavite. Supposedly, this being gave Aguinaldo military advice and an ‘anting-anting’ in the form of a small white stone which made the general un-killable in the battlefield (and could have also given him his long life). The kapre itself was the personal guardian of the Aguinaldo dwelling. It once prevented Spanish soldiers from crossing the bridge by deflecting their bullets right back at them. In their ensuing escape, the soldiers were said to have seen Aguinaldo riding a white carabao, which would explain why the Aguinaldos’ ancestral home is adorned with statues and busts of the animal. 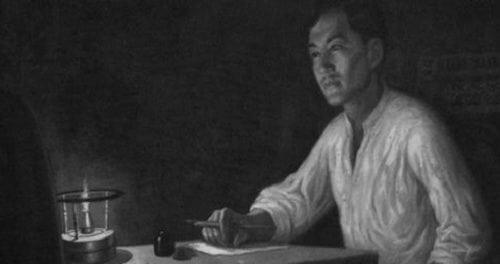 As for the anting-anting’s whereabouts, witnesses allegedly saw Aguinaldo spit out a small white stone just before he expired on his deathbed. Rizal requested the priest, Father Obach, to come over and perform an exorcism. The haunting reportedly stopped afterward. However, noted historian Ambeth Ocampo advises everyone to take the story with a grain of salt since it would not make sense for Rizal—a known critic of superstitions—to even believe in hauntings. For those who may have not heard of Julie Vega, she was one the most promising child actors during the 70s and 80s, having won two FAMAS for Best Child Actress during her career. Sadly, Vega passed away at the tender age of 16, her death officially listed as cardiac arrest due to bronchopneumonia. While it was suspected that she was suffering from multiple sclerosis or Guillain Barre Syndrome (both are life-threatening conditions that could cause respiratory paralysis), a story goes that Vega’s death could be linked to the last film she made (‘Lovingly Yours: The Movie’ ). During the filming of the first episode of this four-part movie, Julie played a girl possessed by a demon in a plot similar to ‘The Exorcist.’ According to the story, ‘engkantos’ (environmental spirits) of the place where the movie was filmed (it was in an old house in Mt. Minalmon, San Miguel, Bulacan) either felt disrespected or fell in love with Vega. Hence, they afflicted her with an illness and took her spirit away. Vega herself was reported to have seen a small bearded child several times inside their makeshift comfort room during their time on the mountain. Like Vega, matinee idol Rico Yan also met an untimely end on March 29, 2002, inside a room at the Dos Palmas Resort in Puerto Princesa City, Palawan. At the time of his death (he was just 27), he was already a household name, adored all over the country by his legion of fans. And the fact that he had been suffering from no known ailments up to that point made his demise all the more shocking. Related Trivia: What is the exact English translation of bangungot? Although experts have since attributed his death to cardiac arrest caused by acute hemorrhagic pancreatitis in his sleep, many have blamed ‘bangungot,’ a mysterious ailment which can be roughly translated as Sudden Unexpected Death Syndrome. Accordingly, an engkanto is said to have caused the malady. 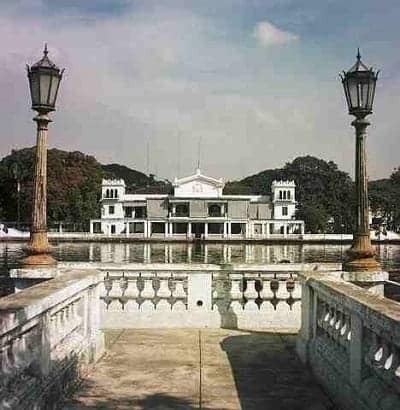 The riverfront view of Malacañang Palace in 1940 as seen from Malacañang Park across Pasig River, south of the palace. Source: Wikimedia Commons. We’ve already pointed out that Malacañang Palace is without a doubt one of the most haunted places in the Philippines, and it’s a safe bet that whoever’s staying there is 100% sure to experience a haunting one way or another. The place is allegedly filled with the spirits of dead past presidents, people beheaded by the Japanese (the place once served as their headquarters during World War II), and even a black lady and a kapre. Even creepier, rooms inside the Palace are said to be haunted by the spirits of children and doppelgangers. And by virtue of their being the longest residents of the Palace, it is also the Marcoses who’ve experienced the most paranormal events. Aside from Imee reportedly seeing the spirit of Manuel Quezon, Bongbong had his own fair share of hauntings inside the State Dining Room. Their mother Imelda also used to insist on being escorted to the bathroom near that room as she was afraid of seeing Manuel Roxas’s ghost. As for President Benigno Aquino, he also spoke of hearing footsteps in the hallways and pianos playing by themselves at night. Did an engkanto take a liking to Angelica Panganiban while she was in Palawan? 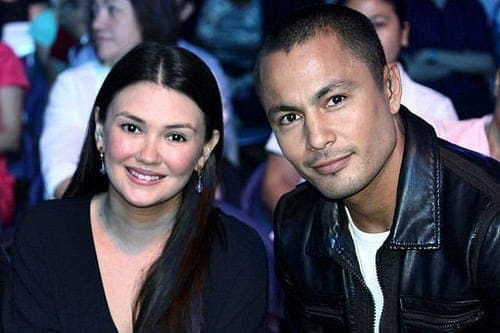 According to the actress, she and her friends began having weird dreams every night after vacationing in that place along with her then-boyfriend Derek Ramsay. She described her dreams as being trapped in a fantastical paradise where singing could be heard. She also added the presence of a voice who was telling her that their place is very beautiful. It was only after she told someone about her dreams did she discover that an engkanto had supposedly fallen in love with her, hence the reason why she experienced those dreams. ABS-CBNNEWS.com, (2011). Angelica haunted by an ‘engkanto’ from Palawan?. [online] Available at: http://goo.gl/P9vdHI [Accessed 27 Oct. 2014]. Bangungot: Real Or Myth?, (2013). Philippine Urban Legends. [online] Available at: http://goo.gl/TGAOgV [Accessed 27 Oct. 2014]. Chua, M. (2013). Ang Kaibigang Kapre ni Heneral Emilio Aguinaldo. [online] It’s XiaoTime!. Available at: http://goo.gl/FaAL4S [Accessed 27 Oct. 2014]. Lago, A. and Severino, H. (2012). Malacañang: The ultimate haunted house?. [online] GMA News Online. Available at: http://goo.gl/zgkfsm [Accessed 27 Oct. 2014]. Ocampo, A. (2012). Rizal’s ghost. [online] INQUIRER.net. Available at: http://goo.gl/3zCj0p [Accessed 27 Oct. 2014]. Paraiso, B. (2011). Rizal reported a haunting in Dapitan. [online] INQUIRER.net. Available at: http://goo.gl/fpFWwR [Accessed 27 Oct. 2014]. Philippine Tales – Supernatural and Paranormal, (2013). Mysterious Death of Julie Vega. [online] Available at: http://goo.gl/C5WEn3 [Accessed 27 Oct. 2014]. Presidential Museum And Library, (2012). MALACAÑAN PALACE PROWLERS: GHOSTS, ELEMENTALS, AND OTHER PHANTASMAGORIC TALES. [online] Available at: http://goo.gl/o50DhW [Accessed 27 Oct. 2014].